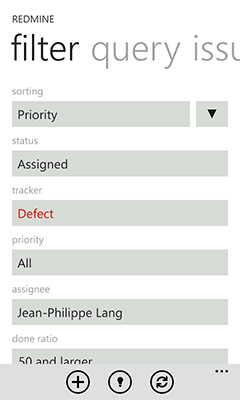 A Windows Phone app for flexible project management tool called Redmine. 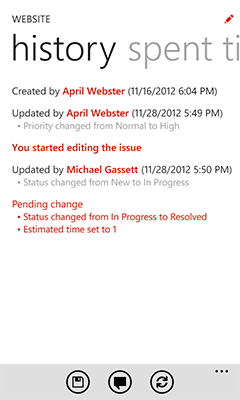 Managing your projects on the go made easy. 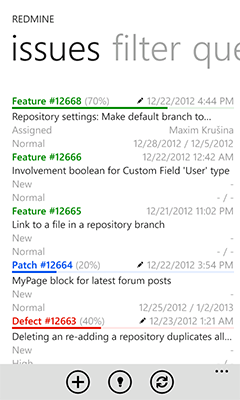 Never miss a thing with your Windows Phone, keep track of your projects wherever you are. 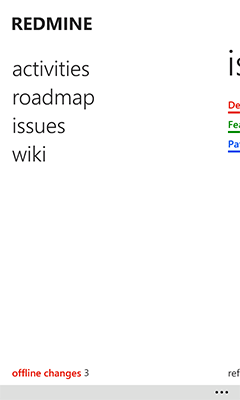 Access your Redmine even with no internet connection. Ever wanted to get a heads-up on the way to work? 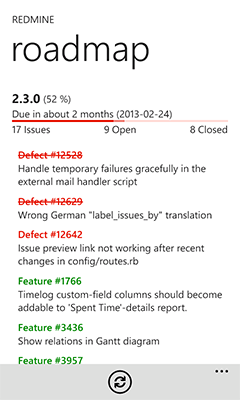 Already signed off and forgot to close an issue? 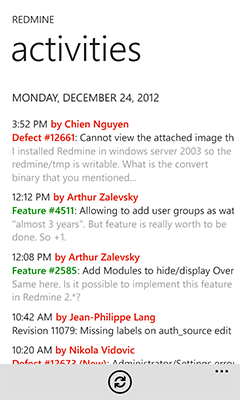 We got you covered, install Redmine To Go app for FREE! 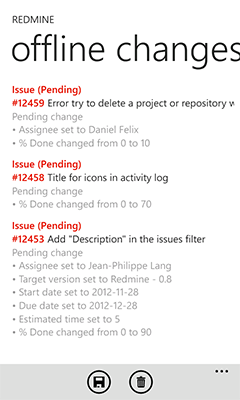 Redmine To Go supports Redmine 1.0+ and ChiliProject with REST API access enabled. 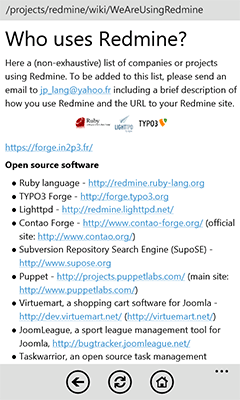 Looking for Redmine hosting? 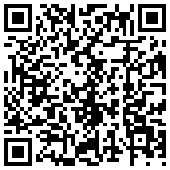 Check out Planio – #1 Redmine hosting provider. 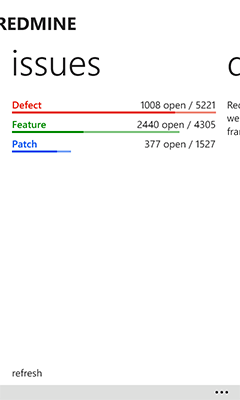 Having trouble connecting to your Redmine server? 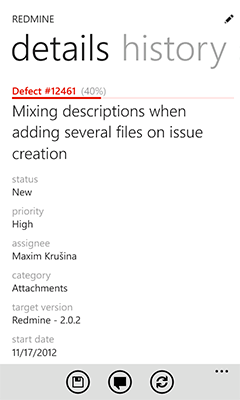 Read Redmine To Go connection guide.